of Mustafi, but this time, we've definitely signed him. Since I was last with you two weeks ago, Arsenal finally won a game in the sport of football and then signed two players in the sport of transfer nonsense. 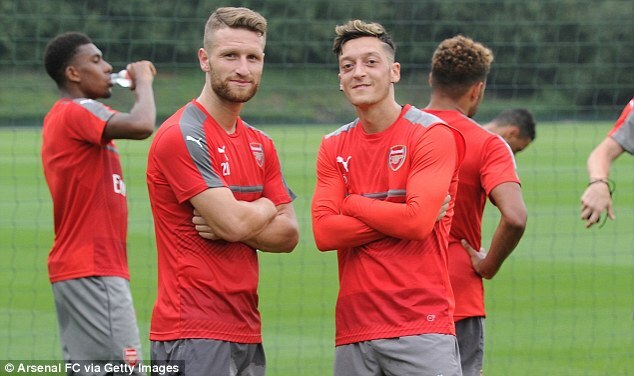 So, #WelcomeMustafi #WelcomeLucas #WelcomeNacho. Just as Arsenal were looking to build some momentum from their 3-1 win over Watford, we had ourselves an international break chock-full of 2018 World Cup qualifiers. Chile picked up a loss and a draw, so you know Alexis Sánchez is mad. Mesut Özil (and Shkodran Mustafi!) and Germany won 3-0 over Norway to kick-off their qualifying campaign. Wales won comfortably as well, even without Aaron Ramsey. 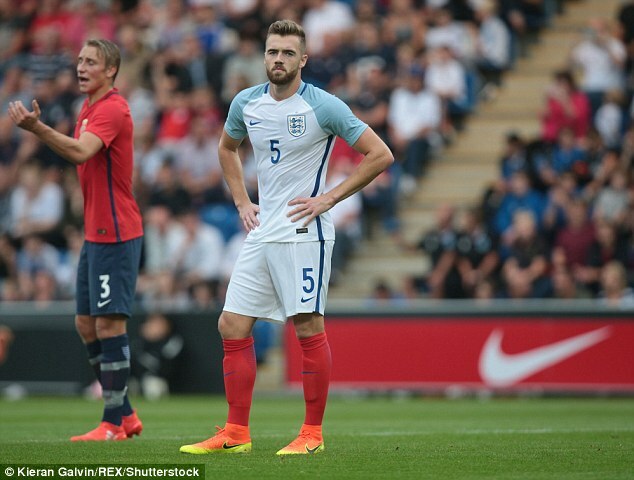 England won, too, though less comfortably, needing a late winner to beat 10-man Slovakia. Alex Iwobi was on the bench as Nigeria advanced passed Swaziland. Olivier Giroud and France, on the other hand, had to settle for a 0-0 draw in Belarus. So, here we are again. Arsenal are 8th in the table. Southampton are 15th and haven't won yet, but they are a bit of a bogey team for Arsenal. 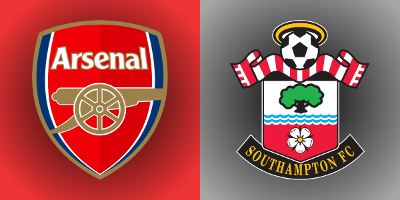 Arsenal have not won at St. Mary's since Southampton's promotion in 2012 and had their league winning streak at home against the Saints snapped with a 0-0 draw last year. The Gunners are already five points behind their title rivals. They can't let that gap get worse while we're still in September. Well, let's just get the long-term injured out of the way, shall we? And then I can gloss over them in all of the previews that'll follow until the next international break... Anyway, Carl Jenkinson (remember him?) remains out after suffering an ACL tear on loan with West Ham last year. Danny Welbeck will be back around Christmas, but I'll believe that when I see it (an Arsenal player ahead of schedule? Surely, you jest!) Per Mertesacker will be back in the New Year, maybe. Alternatively, he may never play in red and white again, who knows? It's the captain's curse! Gabriel might be back after the October break, perhaps. Aaron Ramsey was left out of the Wales squad after he injured his hamstring on the opening day of the season. I think he's about 50/50 here, unless Arsène Wenger has said otherwise since I posted this. Alex Iwobi has been out since the opening match with a thigh problem, though, as I mentioned in the opening, he made the bench for Nigeria at the weekend. As for the new boys, it's obvious that Shkrodan Mustafi will slot into the center back role immediately. If Arsenal spent £35 million on a German international and then still started Rob Holding, I'd... well, I guess it wouldn't be impossible. But no, no, that can't happen. But, can it? Anyway, the bigger question is Lucas Pérez, who just goes by Lucas, in that Alexis kind of way. How will the new Spanish forward come into the side? Will he start immediately? Will he play alongside Olivier Giroud? Will Wenger change the formation? Better yet, will Wenger change the formation and then obstinately stick with it when it's not working, as he did a couple of years ago? My prediction is that Lucas will come off the bench, even if that, maddeningly, means another start for Southampton academy product Theo Walcott. Predicted XI: Čech, Bellerín, Koscielny, Mustafi, Monreal, Xhaka, Cazorla, Walcott, Alexis, Özil, Giroud. The Saints are struggling for focus in attack so far this season, having sold Sadio Mané, Victor Wanyama, and Graziano Pellè this summer. Add a new manager into the mix and you've got a difficult situation. In the final days before the transfer window shut, the Saints purchased Moroccan midfielder Sofiane Boufal for £16 million from Lille to ease the problem. However, yesterday, manager Claude Puel announced that Boufal "has a little injury" that could keep him out for a month. Fraser Forster, who has managed to have two different "games of his life" against Arsenal at the Emirates in recent years, is a doubt with an arm injury. Forster was removed from the England squad and replaced by his backup at Southampton, Alex McCarthy. If I were a betting man (I'm not,) I'd still bet that Forster starts and makes at least six saves tomorrow. Defender Jérémy Pied is out for the season with an ACL injury and Florin Gardoș is likely to miss out through a knee injury as well, which could mean a start for Ryan Bertrand. Predicted XI: Forster, Cédric, Fonte, van Dijk, Bertrand, Romeu, Davis, Tadić, Redmond, Højbjerg, Long. Well, that certainly is a lot of empty seats. It's already been a weird season for Arsenal, which I guess is what happens when you lose your home opener by a 4-3 scoreline. With a 0-0 draw at defending champion Leicester City and a 3-1 win at Watford to close out August, the Gunners have four points out of a possible nine and remain three points back of the point total they took from corresponding fixtures last season. They can make up two of those three points with a win tomorrow, since this fixture ended drawn last season. 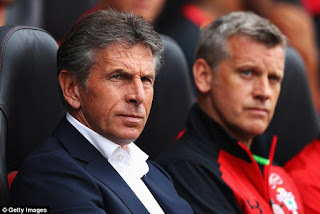 It has not been a good start for Southampton under new manager Claude Puel (since Ronald Koeman took the Everton job.) 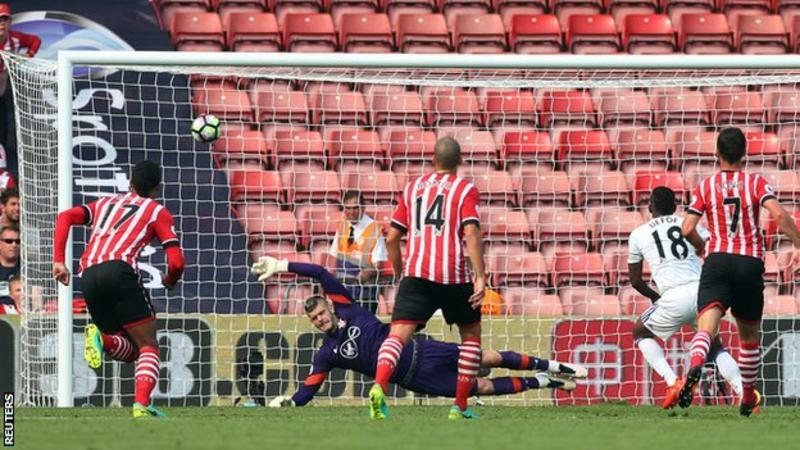 The Saints needed to come from behind to get an opening day draw at home against Watford. They followed that with a 2-0 loss to Manchester United at Old Trafford, then drew Sunderland at home 1-1 as well, coming from behind again, as an 85th minute Jay Rodriguez goal canceled out Jermain Defoe's 80th minute penalty. Do you think Forster made this face for all 11 saves? In the first meeting between the clubs last year, Southampton pummeled Arsenal 4-0 at St. Mary's on Boxing Day. Cuco Martina scored the prettiest goal he'll probably ever score in his life to give the home side a 1-0 lead on 19 minutes before Shane Long took over in the second half. Long scored Southampton's second, arguably fouling Laurent Koscielny in the build-up, but José Fonte's free header from a corner on 69 minutes put the match to rest. Shane Long added a fourth in the 94th minute just to really throw salt in the wound. 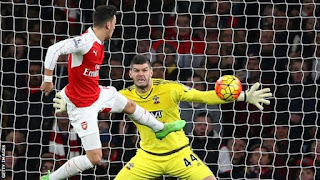 A little over a month later at the Emirates, Fraser Forster stonewalled Arsenal to earn a scoreless draw. The match was much like the match between the clubs at the Emirates the season prior, but on that occasion, Alexis Sánchez nabbed a late winner. Last season, Arsenal had 67% of the possession and attempted 22 shots, but Forster made 11 saves. While the Saints have not won a league game at Arsenal since 1987, they did win a League Cup tie there in 2014. Arsenal have also failed to score in each of their last three matches against Southampton, shipping six goals to the Saints in the process. 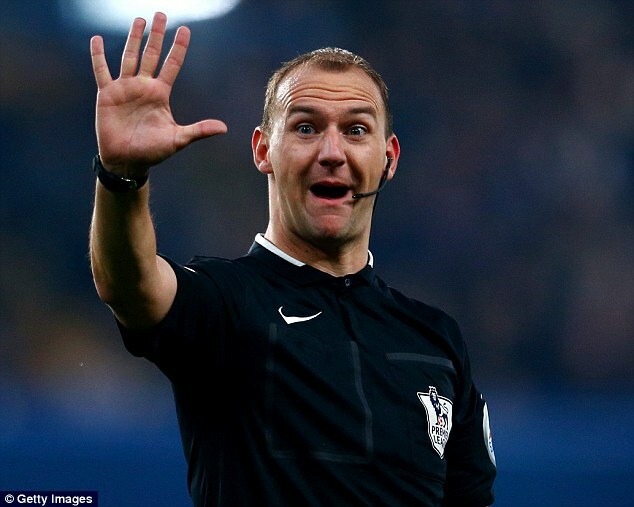 The referee is West Yorkshire-based Robert Madley. Arsenal saw Madley twice last season, with mixed results. Madley was the man in the middle for Arsenal's 3-1 win over Sunderland in December and their 2-1 loss to Swansea in March. Prior to that match, however, Arsenal had never lost a game with the young Madley as referee; Madley has been in the Select Group since 2013. Southampton had a mixed bag of results with Madley last season as well. Sure, they won both of the league games he worked, each by 3-1 scorelines as well (over Chelsea in October and Newcastle in April.) However, he was also in the middle for their 6-1 League Cup loss to Liverpool in December as well. 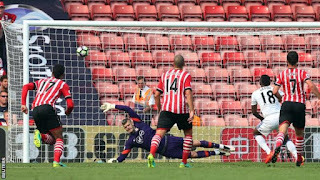 Madley's first Premier League match came at St. Mary's Stadium as Southampton took on West Brom back in April of 2013. The match was also notable in that Madley showed three red cards, two of them to Southampton. Perhaps most amazing is that all three of those red cards were correct! John Painting is a contributing writer to the Modern Gooner and a 932-acre park. You can follow him on Twitter @zorrocat for scenic vistas.